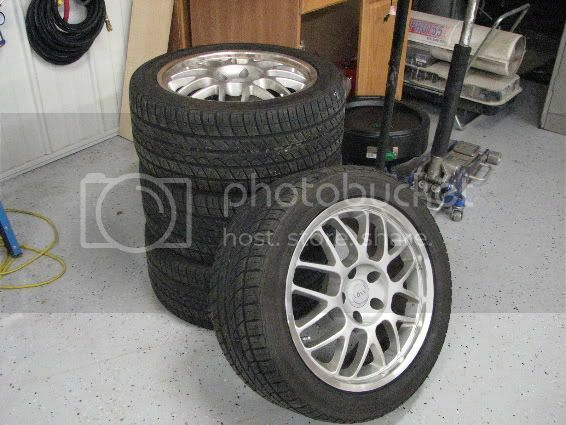 so figured i might as well too :) picked up these wheels/tires for the tr4a over the weekend. 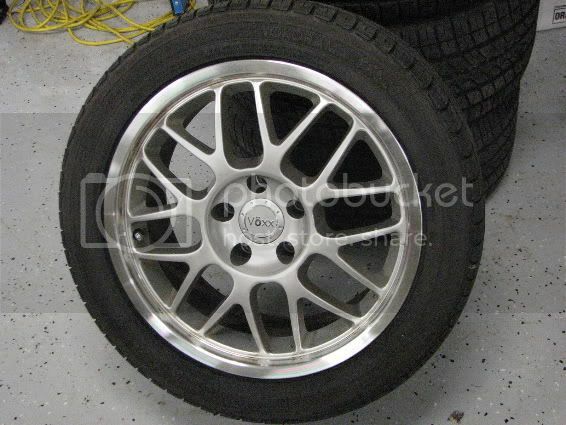 they are 17"x 8" voxx misano's with yokohama yk520 tires 245/45-17's. they were on a 2001 mustang & ended up getting everything for $300. couldn't pass that up! also picked up an extra t-5 & bellhousing for a spare & was given an aluminum driveshaft, so almost have all the major components to start the build when the new shop is up & running in a few days. nice tires .. looking more details..